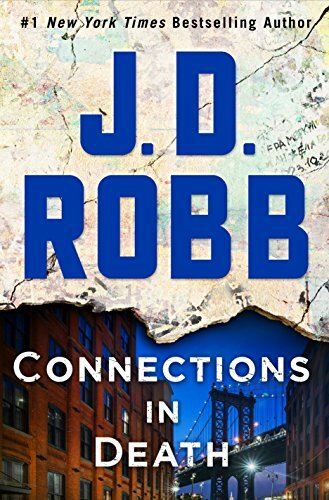 In this gritty and gripping new novel in the #1 New York Times bestselling series, Eve Dallas fights to save the innocent–and serve justice to the guilty–on the streets of New York. Homicide cop Eve Dallas and her billionaire husband, Roarke, are building a brand-new school and youth shelter. They know that the hard life can lead kids toward dangerous crossroads–and with this new project, they hope to nudge a few more of them onto the right path. For expert help, they hire child psychologist Dr. Rochelle Pickering–whose own brother pulled himself out of a spiral of addiction and crime with Rochelle’s support. Lyle is living with Rochelle while he gets his life together, and he’s thrilled to hear about his sister’s new job offer. But within hours, triumph is followed by tragedy. Returning from a celebratory dinner with her boyfriend, she finds Lyle dead with a syringe in his lap, and Eve’s investigation confirms that this wasn’t just another OD. After all his work to get clean, Lyle’s been pumped full of poison–and a neighbor with a peephole reports seeing a scruffy, pink-haired girl fleeing the scene.